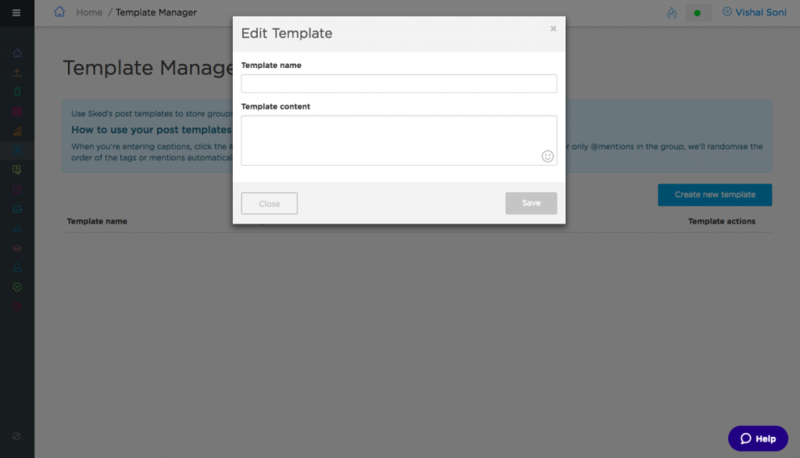 To save you tons of time while scheduling social media content, we are launching a new feature – Template Manager. 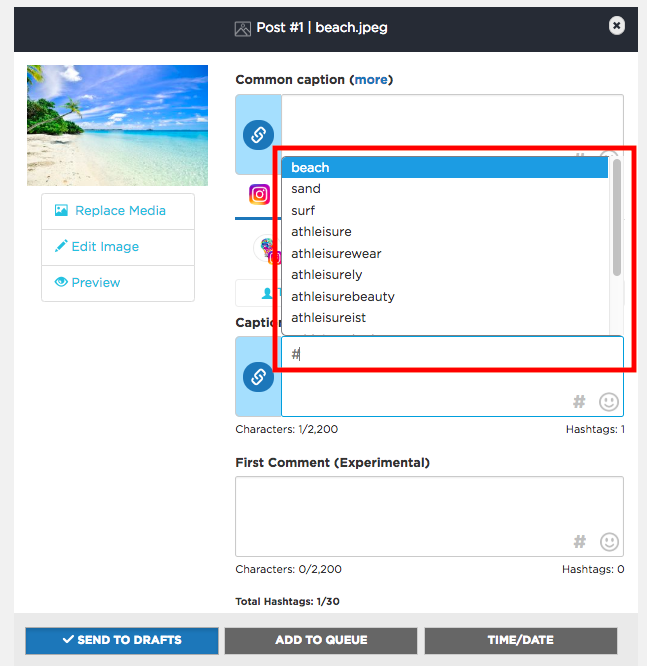 This feature allows you to create and save text templates which you can then quickly add to posts as you create them, instead of having to type them out each time. 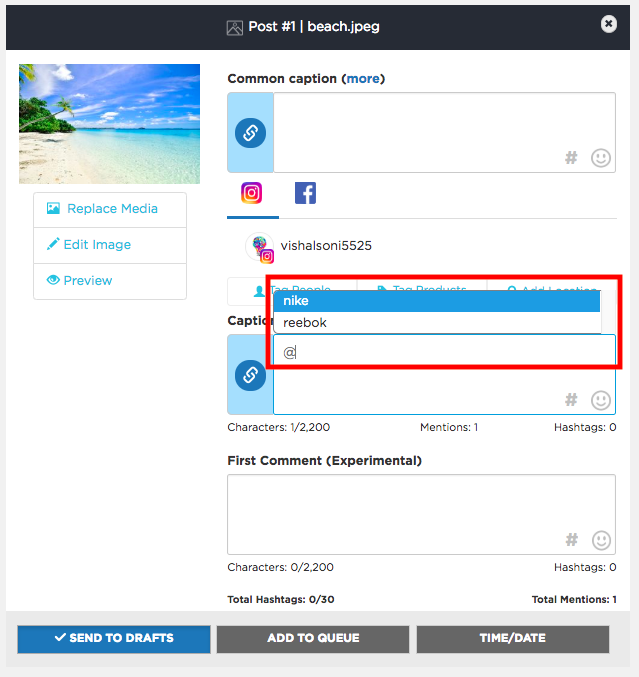 Templates can consist of any form of content – snippets of text, emojis, URLs, hashtags, or Instagram mentions. With Template Manager, you’ll now save a lot of time that was spent on copying, pasting, and proofreading content including taglines, hashtags and user mentions from multiple documents, social media accounts, or previously published Sked posts. 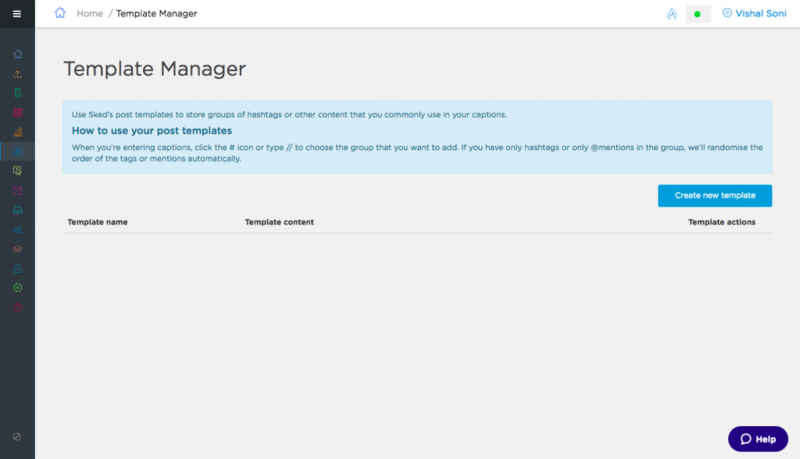 Template Manager is designed to be an upgrade to Hashtag Manager, and is compatible with our existing platform so you won’t lose any existing work. 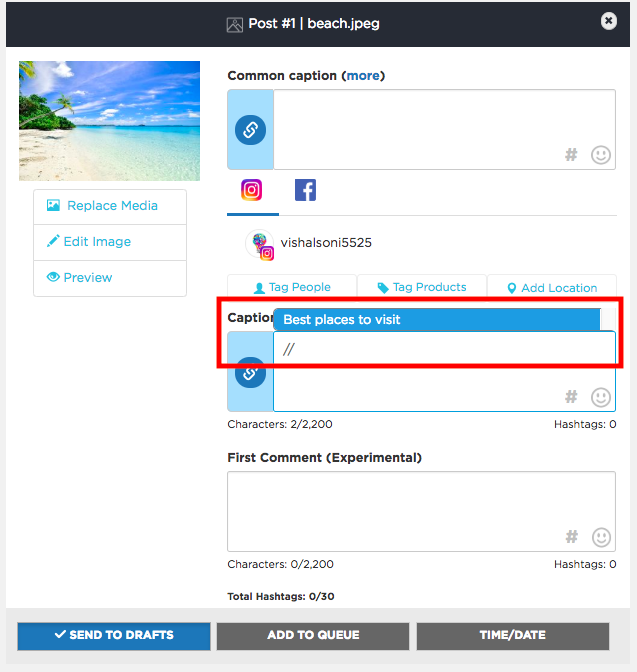 You’ll also still be able to quickly insert individual hashtags and user mentions as you could earlier (just type # or @ when creating or editing a post). All users of a Sked account will have access to all text templates created for that Sked account when they’re creating or editing posts making it easier to collaborate within the team. You can create a template name to easily identify what category it belongs to. Here we are creating a travel-themed template. This will make it easier to use the template, for example when creating or editing posts. Save your changes once you’re done. You’ll see a new Template appear on the Template Manager, which means its now available for use when creating or editing posts. There are two ways to access Templates when creating or editing posts: clicking the “#” icon or using keyboard shortcuts. Both are described below. You can click on the “#” icon that appears in the common caption, post caption, or first comment text boxes. Note that the first comment text box appears only for Instagram posts. Typing a double forward slash “//” brings up a list of saved Templates, and you can select the template you would like to use. Typing “#” brings up a list of hashtags that have been used in earlier posts as well as hashtags that are part of saved Templates (as occurred with the old hashtag manager). 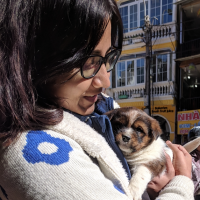 Typing “@” brings up a list of Instagram user mentions that have been used in earlier posts as well as Instagram user mentions that are part of saved Templates. And that’s it! 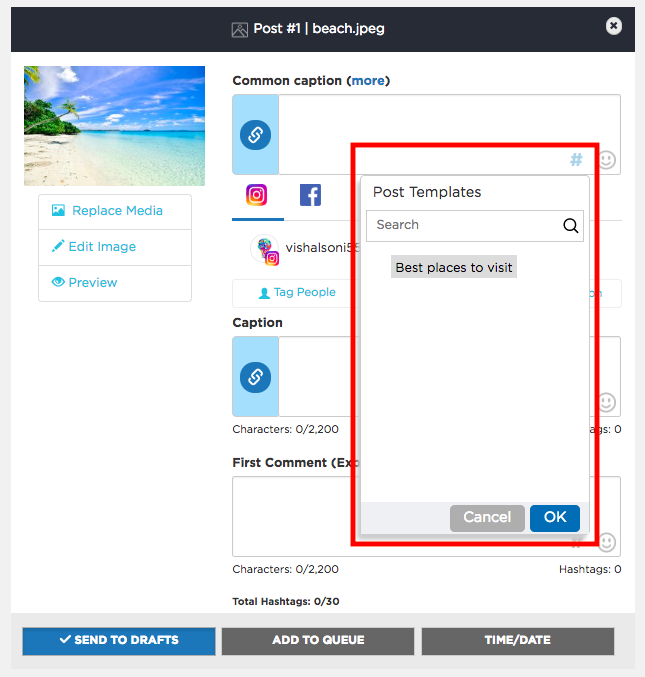 You now have your template saved which you can reuse whenever you are creating a new post. 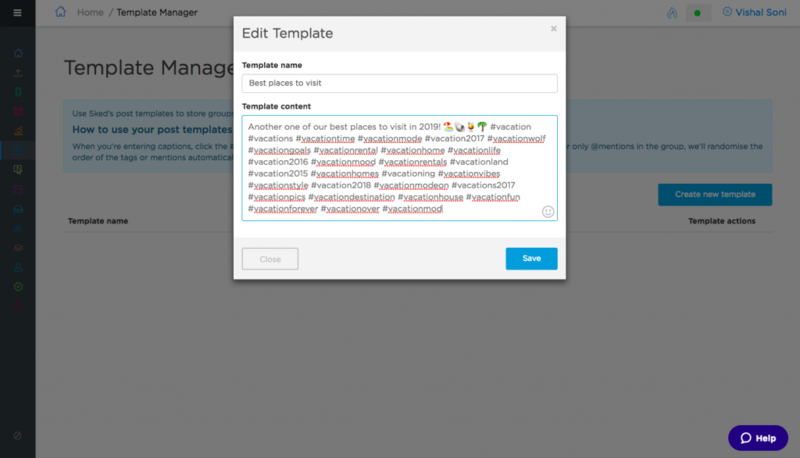 Use the Template Manager to speed up your social media scheduling process. New to Sked? Sign up for a free 7-day trial to get a taste of features that save social media manager 5-10 hours per week!